When it comes to home improvements, installing hardwood floors is one of the wisest investments you can make. New floors are already one of the most affordable ways to improve the resale value of your property -- choosing hardwood only adds more value thanks to its natural appeal, longevity, and popularity. If you plan on maximizing the value of your investment, you’ll want to make sure you trust the pros for your hardwood flooring. 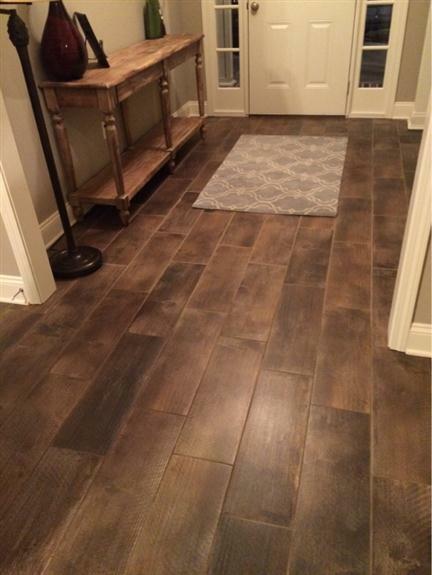 In Marrero, LA, local home and business owners depend on us for the best value in solid and engineered flooring sales and installation. We feature a large selection of hardwood materials in numerous species, grain patterns, and finishes from trusted flooring manufacturers. You’ll find a variety of colors that are perfect for all different styles and purposes. Whether you have a clear idea of what kind of hardwood you’re looking for or need a little help deciding on what’s right for you, you can count on our sales professionals for excellent customer service. We are happy to listen to your goals, needs, and restrictions for your project, and to address each and every item on your agenda. From making a selection to placing your order and scheduling hardwood floor installation, we’ll make the process as easy and enjoyable as possible. Receive lifelong performance from a solid hardwood floor. As the name implies, this type of material is a solid piece of hardwood all the way through. That means it can endure decades of wear, be sanded and refinished, and endure another couple of decades of wear over and over again. Some types of this hardwood can be refinished as many as a dozen times, making it a safe, long-term investment in your property. Enjoy a floor that’s made for the toughest conditions when you choose engineered hardwood. This flooring is typically comprised of two layers -- the top layer you see and walk on is real wood while the base layer is made of high-density fiberboard (HDF). The HDF adds rigidity to the plank as well as moisture resistance, as this material has much smaller pores than real wood. These qualities make it preferable in areas with more moisture, such as kitchens, bathrooms, and even basements. And while you can’t refinish it as many times as a solid hardwood, you can still expect decades of appeal and performance, making it another excellent investment in your property. New floors are a big investment. When it comes to hardwood floor installation, make sure you choose someone who can guarantee your satisfaction. Depend on us to install your floors correctly the first time. Our labor is guaranteed for life, so if you ever find any installation-related issues for as long as you own your floor, you can count on us to resolve the issue for no cost. Our installers stretch your project budget as well with accurate measurements beforehand, ensuring that not too much or too little materials are ordered. Expect quality workmanship, attention to detail, and a hardwood floor that you’ll enjoy for decades to come. Contact us for any questions about our hardwood flooring products or services. We proudly serve the communities of Marrero, Westwego, Avondale, Harvey, and the New Orleans Metro area of Louisiana.